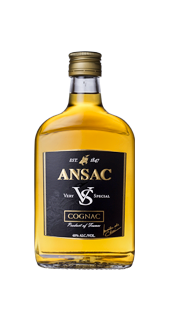 PACKAGING: The design of the gently rounded and elegantly shaped ANSAC VS bottle is registered, and bottles are manufactured specially for UNICOGNAC. 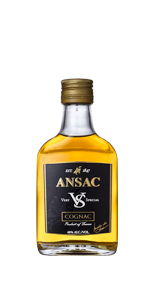 The presentation is based on a black and gold color scheme. 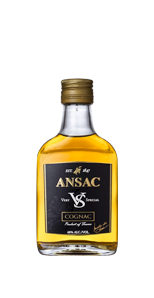 The black cap features two thin gold lines with the words Maître de Chai (Cellar Master) in between. A gold-colored medallion displays the letters VS just below the neck. 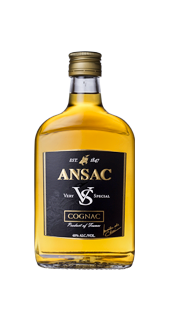 The main label includes the ANSAC emblem as well as the category of Cognac and all other obligatory information.